I recently visited a Lego store in Orlando and was struck by the level of excitement and engagement throughout the shop. 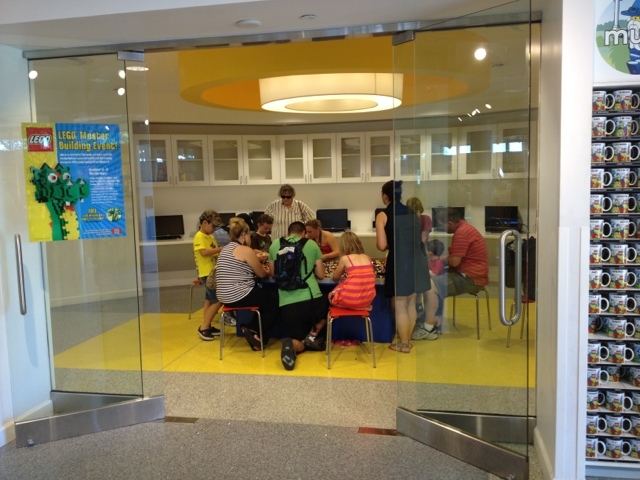 The feeling was equal parts Apple store (where everyone is involved but typically staring independently at screens) and pre-school sensory table (where individuals and groups interact, build, and create common stories). 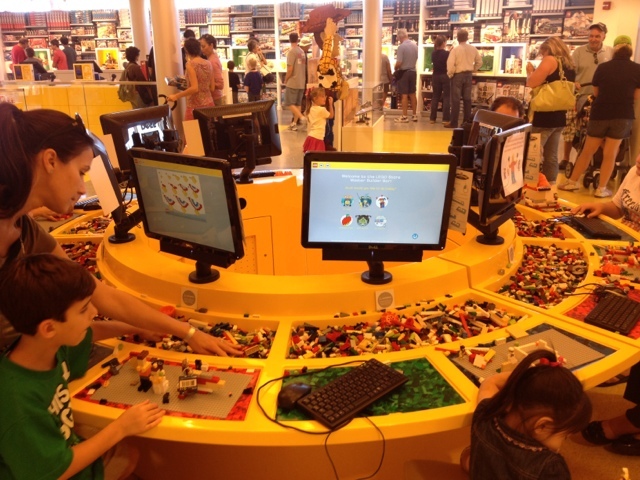 A blend of tactile and virtual interaction - Lego bins are placed directly below computer monitors, encouraging students to interact both on the computer and in 3 dimensions. Multi-age engagement - parents and children of all ages were sitting around bins, projects, and computer banks sharing what was on their screens and in their hands. Materials were simple enough to connect with the youngest student but flexible enough to challenge even the brightest mind. Project showcases - around the store there were cases and sculptures demonstrating kits and unique structures. Some were interactive, others referenced and were placed in proximity to specific products (or tools). Deep-dive (breakout) rooms - off the main store hub were breakout rooms which housed specific demonstrations, contests, or explorations. These rooms offer privacy, and the reduced traffic and storage allow long-term projects to remain undisturbed. A seven-ish year old was asking his younger sister which of his two vehicle creations would win a race – and she supported her assessment by pointing out the number and size of the wheels. 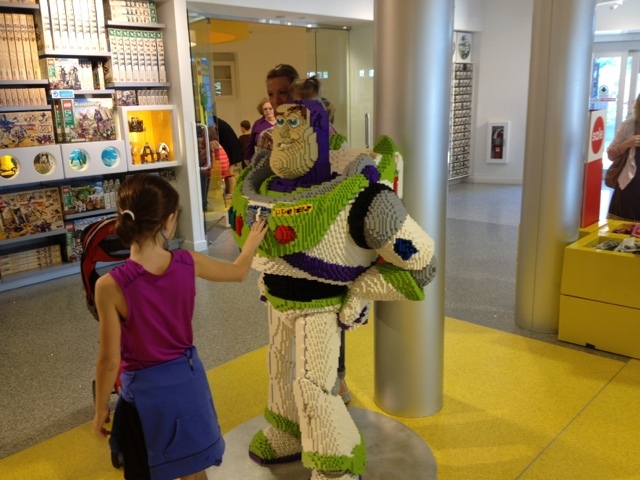 A family looking at a Lego sculpture of Woody (from Toy Story) were trying to estimate how many blocks it would take to create. They were counting small segments and then multiplying them together to get a rough sense. Two tiny kids were acting out a story with a couple of customized Lego characters they had made. A mother and son were using Digital Designer to mock up a custom model that they could purchase. 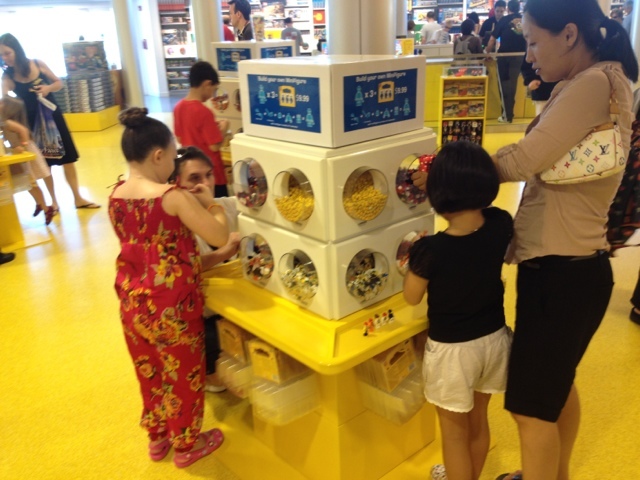 About 60 children from ages 2-80 were elbow deep in build bins out in front of the store. “The Third Teacher explores the critical link between the school environment and how children learn, and offers 79 practical design ideas, both great and small, to guide reader’s efforts to improve our schools.” (excerpt from the book description). “Dr. Russell Ackoff and…Daniel Greenberg…take on the very deepest questions about education: What should be its true purpose? Do classrooms make sense anymore? What should individuals contribute to their own education?” (excerpt from the book description). 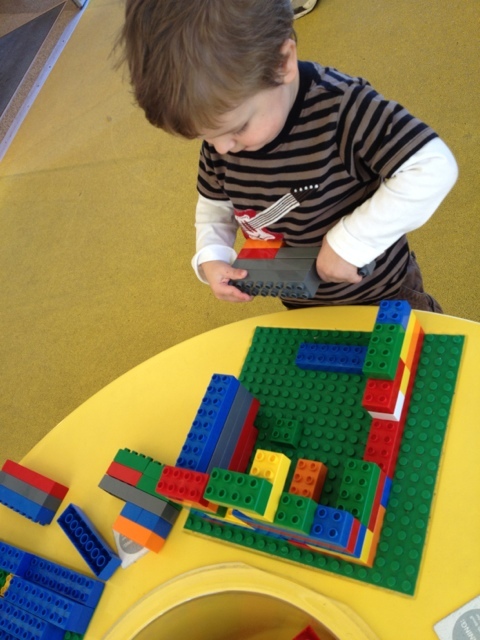 “By exploring play, innovation, and the cultivation of the imagination as cornerstones of learning, the authors create a vision of learning for the future that is achievable, scalable and one that grows along with the technology that fosters it and the people who engage with it.” (excerpt from the book description).